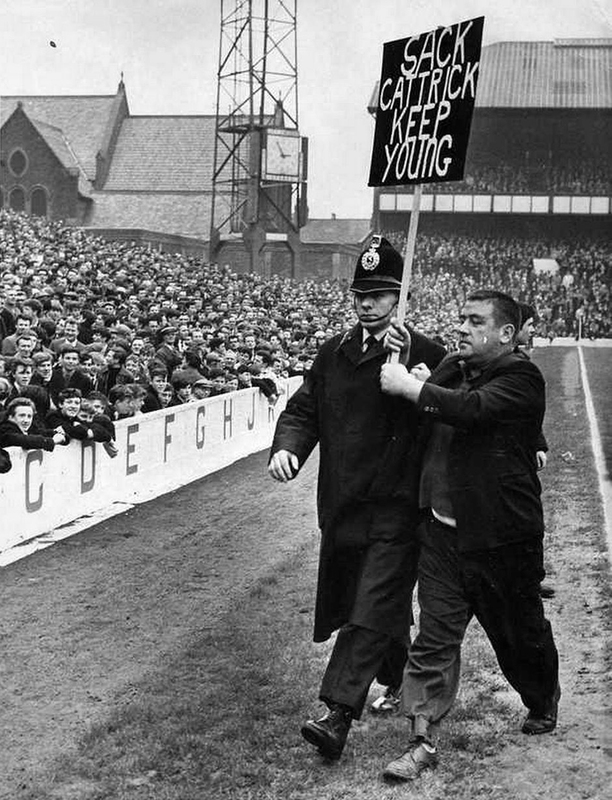 It is with great sadness that Everton has lost another hero today in Alex Young. A true Everton legend that formed part of Harry Catterick’s cultured 60s team. As an Evertonian that has just recently entered my thirties, I didn’t have the pleasure of seeing The Golden Vision play, yet myself and others my age feel the sadness and loss as much as those who were fortunate enough to see the great man take to the Goodison pitch. Upon hearing the devastating news I was immediately brought back to my childhood. I was a football mad kid; if I wasn’t playing, I was watching whatever I could. One of my most prized possessions in my VHS collection was the original Official History of Everton FC video. I must of watched that around 100+ times before the advent of DVD players made our old Sony VHS obsolete. Reporter: What does your Daddy do? The next set of clips shows Young dribbling past defenders with ease, dropping his shoulder and lashing a ball into the top corner. Although the clip is in black and white, Young is adorning that classic Royal Blue strip with the white round-neck. A thing of beauty and art. That segment was so wonderfully done that I, no more than 8 or 9 years of age, appreciated the skill and grace of an Everton Giant. I can say with some degree of certainty that without realising it until now, those clips made me grateful that Alex Young was an Evertonian. I wish I could have seen him play. I urge any of you taking the time to read this to watch the aforementioned drama by Ken Loach entitled The Golden Vision. (https://www.youtube.com/watch?v=WcAmE5GxGd0&t=10s). You may have seen it before, many times over. You may not have had the pleasure yet of watching, but it is wonderful to see how it highlights the relationship between fans and players of a football club. Ordinary people watching their heroes and adoring them. 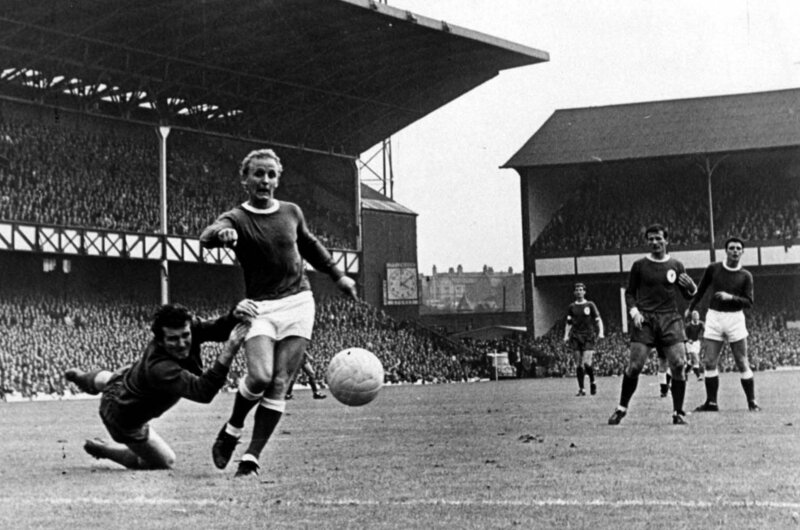 Alex Young was one of those heroes to many who had loved their football and loved watching him perform. Prior to Everton he was a legend for Hearts in Scotland and had spells for Glentoran and Stockport County. He achieved eight caps for his native Scotland. He will be remembered though as one of the greatest players in Everton’s history, winning a league championship in the 1962-63 season and an FA Cup in that wonderful comeback against Sheffield Wednesday in 1966. He looked a majestic footballer from that two minute or so clip I first saw as a young child – imagine how good he must have been to watch every week? You want to know the sign of an Everton legend? Supporters of my generation being gutted, sad at his passing, and never seeing him play. 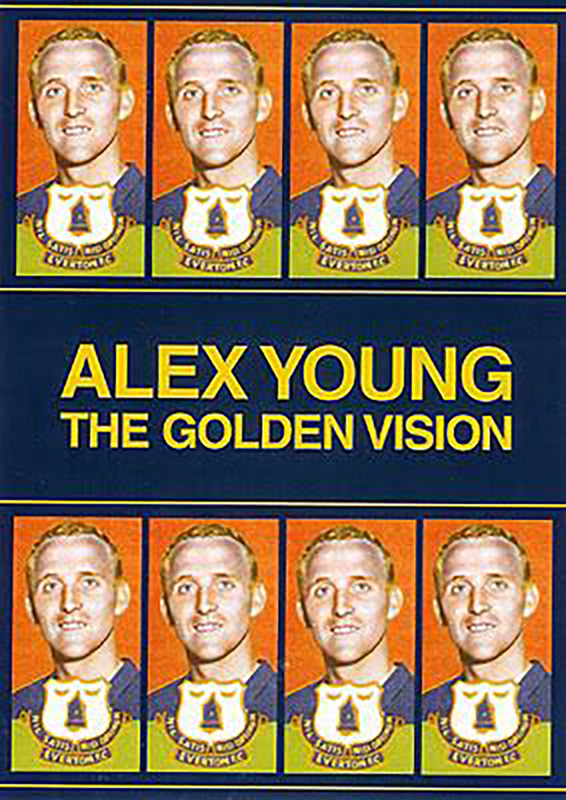 Alex Young, The Golden Vision. Evertonian. I am in tears. 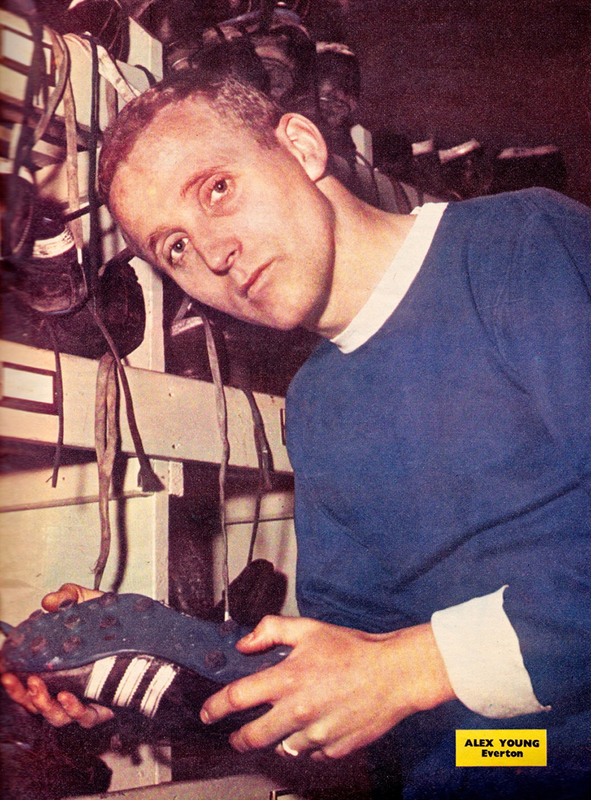 I have followed EFC since 1955, and have yet to see a player with the grace, style and talent as Alex Young. Thanks for those golden memories.